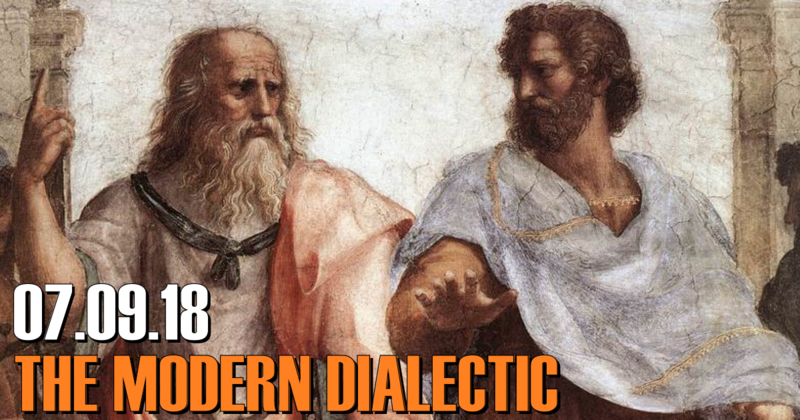 This week on Middle Theory, we address issues in the ongoing “Modern Dialectic” that include the death penalty, philosophy in American education, and the announcement of Donald Trump’s latest Supreme Court pick. Kicking things off this week, the ongoing saga of YouTube call-outs and rebuttals takes the center stage, as Joe Rogan appears to somewhat regretfully respond to Alex Jones’ recent accusation that the powers that be have “gotten to him,” and hence (in Alex’s mind) why the conspiracy host has not been invited back on Rogan’s podcast. Rogan has a history of pointing out the absurdity of the notion that such “disputes” require constant responses and rebuttals, as featured in his conversation with Ana Kasparian from a few years back. We then turn our attention to the recent news that six members of the Japanese Doomsday cult Aum Shinrikyo were recently executed, along with their leader, following decades of imprisonment after their participation in what is arguably the worst act of terror on Japanese soil in modern times. Some human rights advocates, including members of Amnesty International, have argued that the sudden implementation of executions under Japanese law presents cause for concern, as they differ greatly from standards in other modern democratic societies (namely the United States). 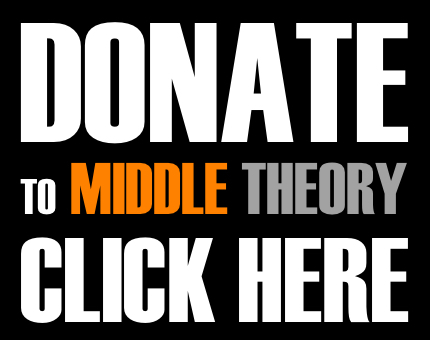 Then later in the program, we feature audio from a wide-ranging discussion Micah had with some friends of the Middle Theory program, which includes our friend Steve Reginer (aka “Grimsteak”), who along with James Cruz hosts the Cruisin’ with Steak podcast. Also joining the discussion is our friend Taylor (aka “Aldon”, as he will be known to some listeners of the Middle Theory program), and together with the Crusin’ crew, we discuss issues that range from education to politics, Micah’s advocacy for knowledge and discussion of climate changes (and understanding the science behind what effect humans are having on our environment), and even our mutual love for books. Then in the final minutes of the program, we are able to catch the live announcement of Donald Trump’s Supreme Court Pick of Brett Kavanaugh, a decision that will inevitably be met with derision and hostility. While Mr. Oakley argues that he is the more moderate pick, some are concerned that Kavanaugh will actually “gut Roe vs Wade,” and that he is really anything but a more moderate-leaning conservative judge… an issue that will no doubt arise again in future discussions on Middle Theory. Did a Japanese Cult Detonate a Nuclear Bomb in the Australian Desert? This entry was posted in Podcasts and tagged Alex Jones, Aum Shinrikyo, Brett Kavanaugh, education, Joe Rogan, Supreme Court pick by Micah Hanks. Bookmark the permalink. Have we became as a country the place where a troll can be a troll? When I was a kid we had dialectic, cause you had to physically dial in each and every individual number on a rotary phone. When we dialed we did it deliberately and with full attention to each numerical detail. People didn’t call their friend’s and neighbors, because it was faster to walk over and just say it to their face, and people don’t like saying things to peoples faces so they never did…now we have a culture of note dropping, email snooping, text philandering, botomizing cowards and creeps and lurkers, real robotomy cases…now featuring human’s with brains in hand…”Ahhhh” refreshing. Is the problem auto dial? group messaging? favorites? should we go back to rotary? Can you imagine people commenting and texting all day long if they had to dial it in on a rotary? where does the phrase holding your ground come from? The shield emblem was in fact originally the Chinese oracle bone script character for field, so when a mythological person is depicted with shield he is in fact holding his ground symbolically. “When I was a girl growing up in the Carolinas, I didn’t want to be a writer. I didn’t know any writers – I’d never even seen one. But their photographs looked funny, as if they’d been taken to a taxidermist and stuffed. However we all know this just isn’t so…yet civilized man will be extinct man one day for sure…he is a self fulfilling prophecy, his forceful adaptations exposed for acting in a world wide play, with the pretense, and pretention that pretending and imagining, will not just delay the inevitable return to primitive lifestyles, but will as if by magic and same old religion hooey, save them and their holier than thou souls…trade your evolution for crap…..